Do not be fooled into paying more, because you think more is better. The FDA (Food and Drug Administration) considers all approved CES units to be “substantially equivalent” to each other. Note: *The CES Ultra is the premier unit on the market. It alone features the original 100 Hz configuration that most of the CES research has been done on. Other units may claim to carry the 100 Hz but no other unit has an accurate rendition of the configuration on which most of the research is based. You may also find certain “underground” instruments on the market, particularly on the Internet. Contrary to their anecdotal claims, most have no scientific evidence behind them. Many are nothing more than low-cost pulse generators of dubious quality, and have not been fully evaluated for either efficacy or safety. They are not registered with the FDA. Many are billed as “for research purposes only,” and cannot legally be called “medical devices” or make any medical claims. Many are from overseas and are of dubious quality. This entry was posted in Inflammation on August 28, 2018 by cesadmin. Sarah, a seventeen year old female in the eleventh grade, states “Now I take more time to think about things (i.e. vocabulary words) and I spend more time and take more steps to remember them than before”. She is also reported to take more time to insure she has followed all the necessary steps and test taking skills in biology and history are improved in her improved ability to completely read questions and formulating better thought out written answers. forty-five minutes daily she was successful for the first time in memorizing two pages of lines in a skit, demonstrated improved math skills and comprehension of biology concepts. Sarah states that she would not have been able to accomplish this without the use of the device. Self confidence also improved and fear of test taking was greatly decreased if not eliminated. Her grades are now in the B range where formerly they were in the D to F range. intervention was also associated with the cessation of a difficult premenstrual tension syndrome. She reports no further menstrual cramps since using the device and states “I am not witchy anymore” during her menstrual periods. 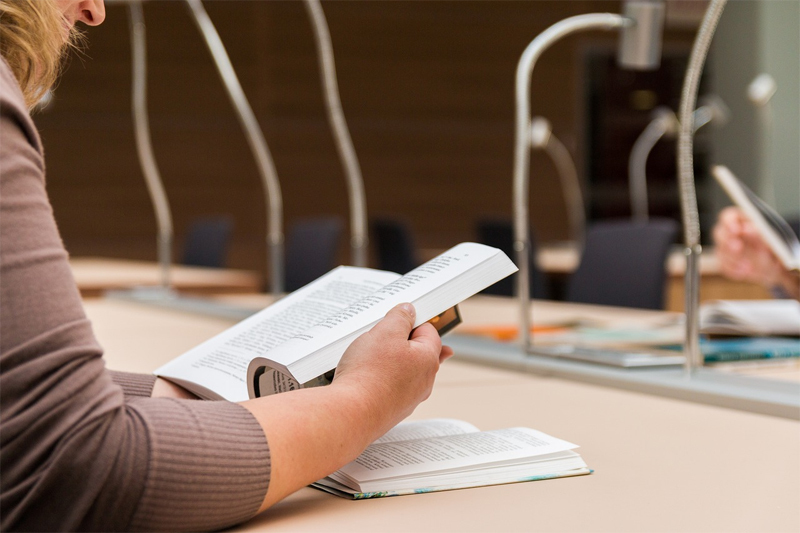 She states that she is no longer bothered by the chronic fatigue that so dramatically affected her earlier learning efforts. This entry was posted in CES Ultra device on August 27, 2018 by cesadmin. Considered relatively safe and non-addictive by consumers and many doctors, Xanax, Valium, Ativan and Klonopin have been prescribed to millions of Americans for decades to calm jittery nerves and promote a good night’s sleep. But the number of people taking the sedatives and the average length of time they’re taking them have shot up since the 1990s, when doctors also started liberally prescribing opioid painkillers. Actually anti-anxiety pills are not so safe. Due to their high potency, benzodiazepines can change the brain’s neurochemistry. Over time, the drugs build up in the user’s body. Users can develop mental and physical dependencies on the drugs as a result. Prescriptions have increased more than 60 percent in the last two decades and overdose deaths involving them have more than quadrupled between 2002 and 2015, promptings some states to limit the number of pills a patient can be prescribed. The growing use of anti-anxiety pills reminds some doctors of the early days of the opioid crisis. Benzodiazepines, or “benzos,” are a class of pharmaceutical drugs prescribed for a spectrum of mental disorders and ailments. They are used to treat moderate to severe anxiety, panic attacks, epileptic seizures and even withdrawal symptoms from other central nervous system depressants like alcohol. Benzodiazepines are legal when they are prescribed. However, a black market for the drugs exists as well. On the street, benzodiazepine drugs might go by other names like tranks, downers or simply benzos. State and federal officials are now warning that excessive prescribing of a class of drugs known as benzodiazepines or “benzos” is putting more people at risk of dependence on the pills and is exacerbating the fatal overdose toll of painkillers and heroin. When taken in combination with painkillers or illicit narcotics, benzodiazepines can increase the likelihood of a fatal overdose as much as tenfold, according to the National Institute on Drug Abuse. On their own, the medications can cause debilitating withdrawal symptoms that last for months or years. As prescriptions for benzodiazepines have grown since the late 1990s, so have deaths, according to a study at Montefiore Medical Center in New York. The National Institute on Drug Abuse reports that overdose deaths involving benzodiazepines quadrupled from 2002 to 2015. Benzodiazepines are a fantastic medication to deal with and to cope with infrequent and unnatural experiences. These anxiety drugs should only be reserved for infrequent procedures like a colonoscopy, or extensive dental procedure. We don’t need chemicals to get us through the painful events of life. This is about a 20-30 year old phenomena in the US where we feel we need to cope with life using chemicals to get us through traumatic issues. Once It becomes a coping mechanism to deal with your life, we have to question what we are doing here. While opioids’ toxic effects are respiratory depression, benzos also depress your breathing and can be fatal. The body becomes so relaxed and euphoric from drugs like Xanax, that it doesn’t feel the need to breathe, he said. Patients end up dying from an “overdose of pleasure.” In a lot of ways benzos mimic the pharmacology of alcohol. It impairs memory, it impairs cognitive ability, and literally lowers your IQ and ability to function. Public health officials warn that people who abruptly stop taking benzodiazepines risk seizures or even death. Opioid withdrawal will make you want to die, but typically won’t kill you. Benzo withdrawal on the other hand can create withdrawal seizures that can be life threatening. There were over 3.3 Billion prescriptions filled in America in 2002 (12 times the U.S’s population – that’s 12 prescriptions for every man, woman, and child in the U.S. that year). 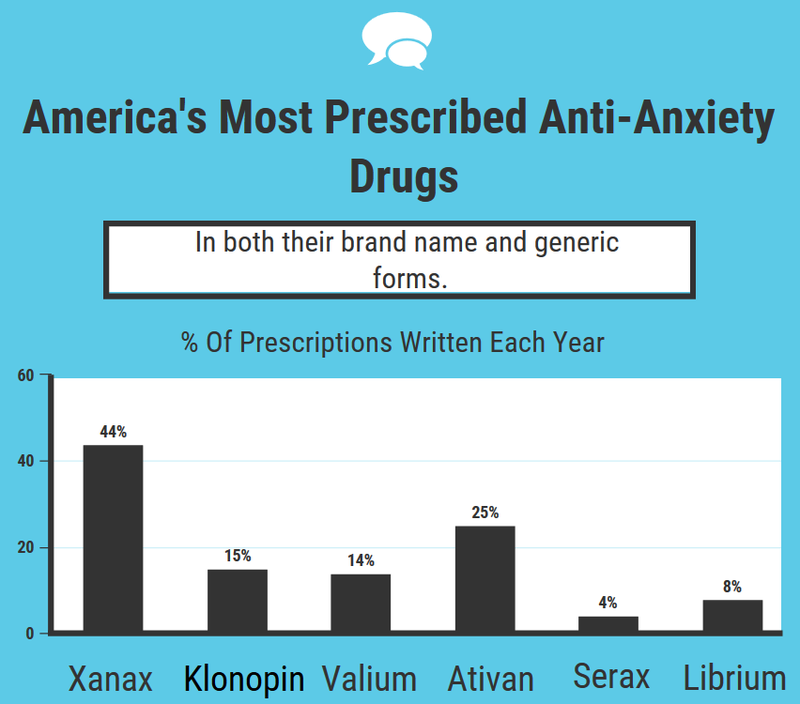 Paxil and Zoloft (two of the more popular anti-anxiety medications) ranked 7th and 8th in the top ten prescribed medications in the US (these two medications totaled almost $5 Billion in sales in 2002). People need to rely more on talk therapy or alternative medicine to cope with their anxiety and distress, instead of counting on a magic pill. 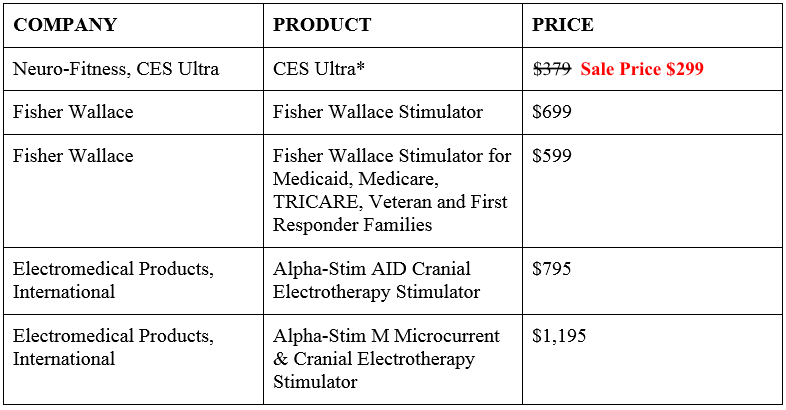 Cranial Electortherapy Stimulation (CES) is a safe alternative to drugs. CES is a unique and viable “bioelectric” approach which enhances the homeostasis of the biological central nervous system – the tendency for intrinsic balance within a system. Isn’t it time we examined a drug-free alternative? Cranial Electrotherapy is exactly that — an effective modality with no negative side-effect. This entry was posted in Anxiety on August 12, 2018 by cesadmin.